The Groovy Greeks is full of fab facts about the hip and happening Greeks – who hung out all over 2000 years ago. This book tells you who had the world’s first flushing toilet and why dedicated doctors tasted their patients’ ear wax. I loved this book and I think everyone should read it. 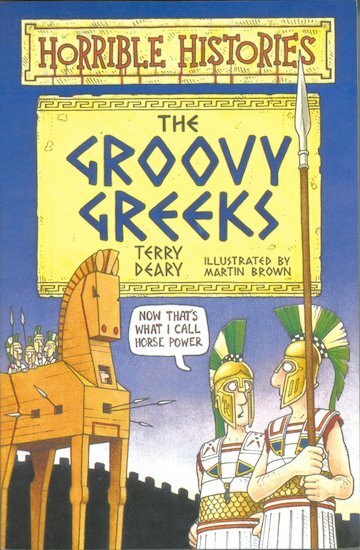 I have learnt many things in this book and I can now certainly say that the Greeks were completely GROOVY!